Why do children love summer so much? There are two reasons: the first oneis a long-awaited vacation, and another reason is the possibility is to eat ice-cream in almost unlimited quantities. However, many adults are also crazy about this delicacy. If you are going to have a trip to Los Angeles, then you are lucky: in addition to the fact that the summer lasts there for 365 days a year, the city provides a huge number of points selling incredibly tasty ice-cream. Vanilla or mint ice-cream, with fruit syrup or chocolate drops, with peanuts or almonds – this list can be continued indefinitely, but it’s better to rent a car and find spots to enjoy the refreshing taste of the world’s best dessert on your own. 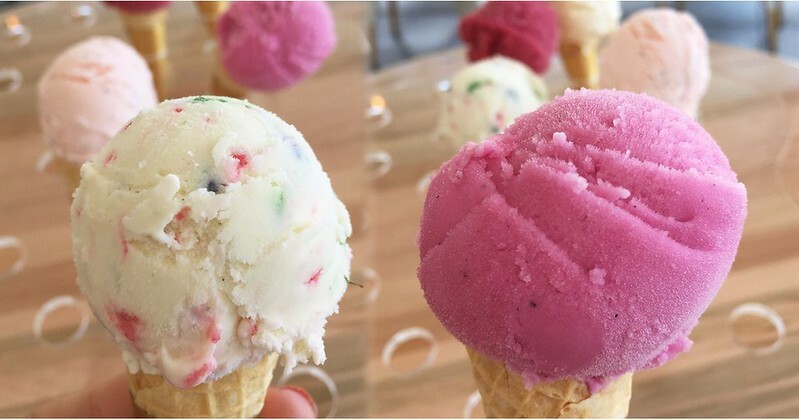 By means of car rental LAX reviews you can pick up the most suitable vehicle for your sweet journey.So, check out 7 perfect spots to try the most delicious ice-cream in Los Angeles. 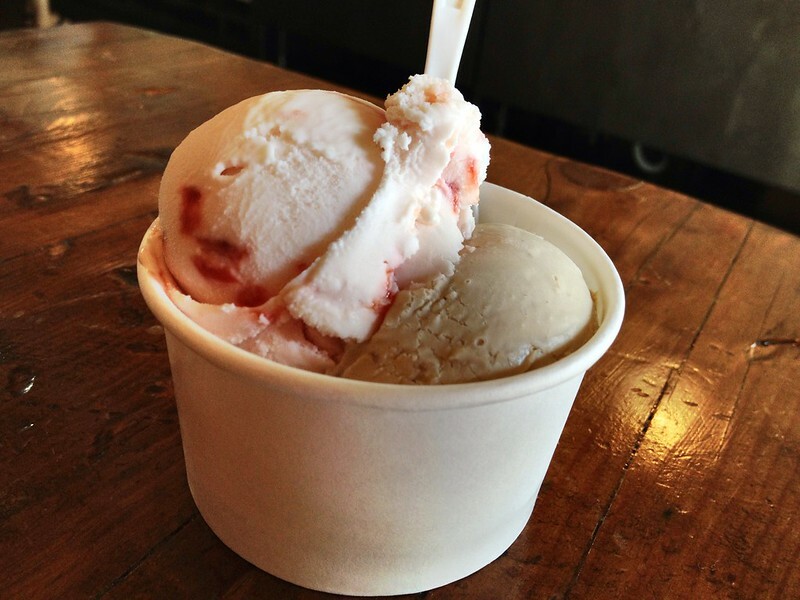 Many locals consider that Sweet Rose Creamery serves the best ice-cream in Los Angeles. It’s prepared solely from organic milk. You can order there a classic delicacy with coffee, vanilla mousse or chocolate, and try something special – ice-cream with the taste of earl gray tea, green tea or even carrot pie. 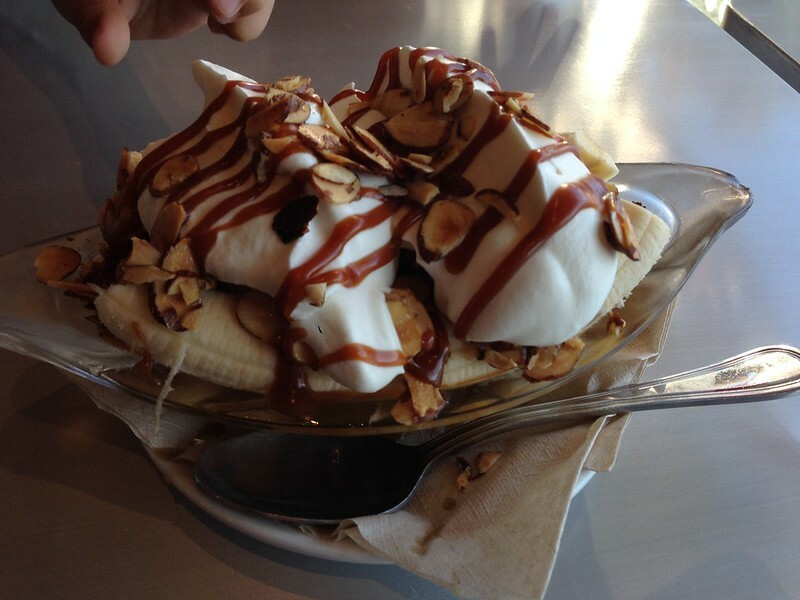 According to Thrillist, the establishment was included into the list of the best America’s ice-cream shops. 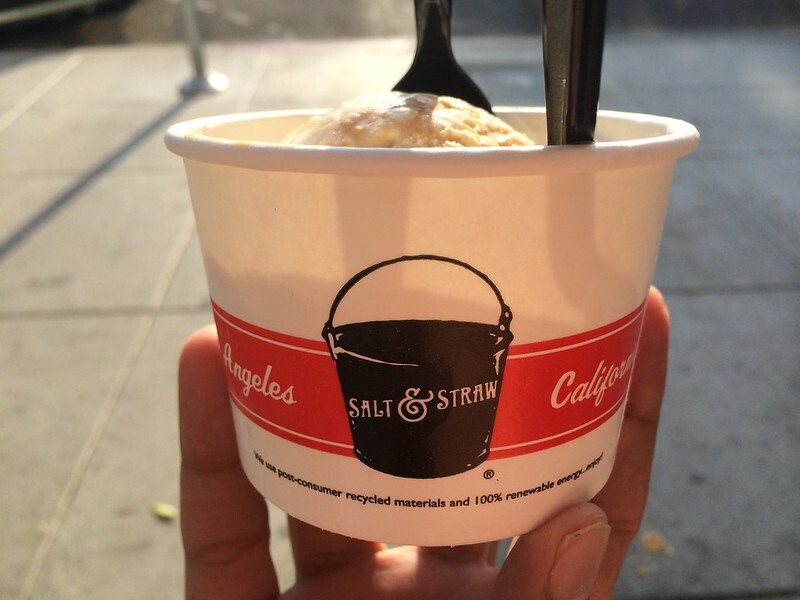 Salt & Straw cooperates with local farmers, butchers, winemakers, coffee roasters and other producers – from Southern California to the Central Coast, to provide customers with high-quality ice-cream. Sometimes the tastes are absolutely incredible. For example, sweet-salted ice-cream with French fries, goat’s milk ice cream with cowberry, ice cream with tahini and cardamom, and even ice-cream with the taste of coriander and sausages. Also, there are less shocking options: vanilla, almond with salted caramel, with the taste of chocolate brownies or avocado. A small ice-cream shop is famous for its original and ever-changing tastes. The selection is represented by about 50 kinds of this delicacy. Constant positions in the menu are favorites of visitors: ‘brown bread’ and ‘Grape-Nuts’ – a caramel ice-cream with glazed flakes. Among other flavors are chocolate cheesecake, strawberry with jasmine, vanilla with orange, coconut with banana and “Oreo” cookies, with apple, nuts, blue cheese and much more. Also, the menu contains lactose-free and vegan variations. The establishment offers only a few kinds of ice-cream, but it’s made entirely of natural ingredients and by using 100% organic honey. Both milk and honey are officially certified. 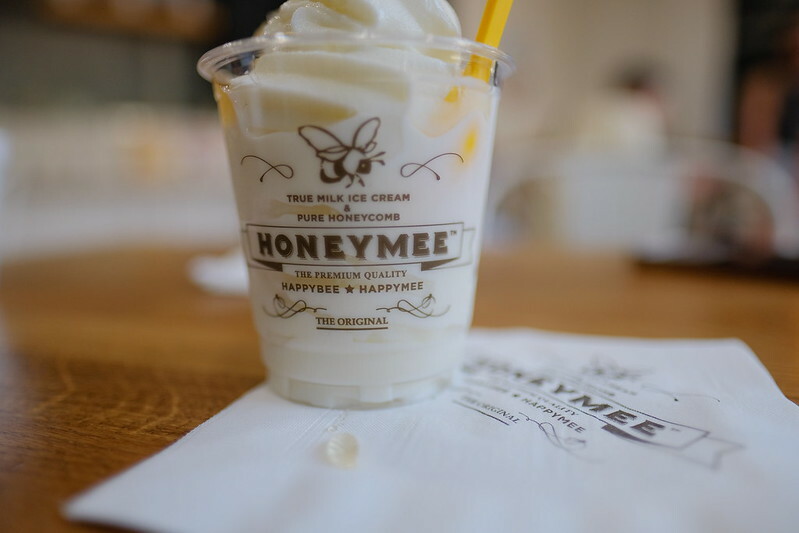 Positions in the menu have “sweet” names: honeymee (ice-cream with honeycomb), darling (usual white ice cream), sweetie (with honey), and babee (ice-cream in a sweet bun). 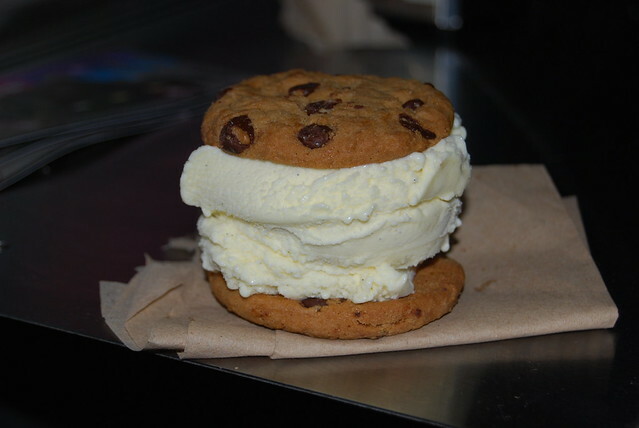 The store specializes in dessert sandwiches with ice-cream. Coolhaus is known for its unusual seasonal combinations of flavors. For example, have you ever tried an ice-cream with ‘chicken and waffles’ or ‘Guinness beer and chips’? Among the other flavors are fig-cream cheese, beer-bretzels, chocolate mint, earl grey tea, gin and tonic, lime pie, pistachio-chocolate truffle, Vietnamese coffee with ice, pumpkin pie and much more. Also, there’s an ice-cream for adults – with alcohol. What to order: ‘Brown Butter & Candied Bacon’ – a sandwich with chocolate biscuits with sea salt and ice-cream with a taste of caramelized bacon, or ice-cream with a taste of figs and mascarpone. The shop is owned by a married couple. 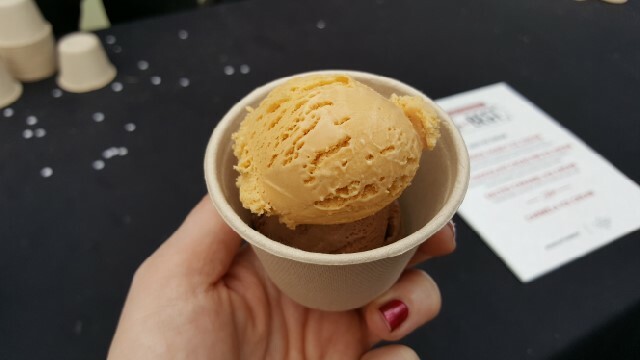 They make ice-cream on the basis of seasonal fruits, with the addition of fresh herbs, spices, flowers and organic milk products from local farmers. Popular tastes are salted caramel and mint-cocoa. For the fans of classics, Carmela offers such combinations as strawberry-buttermilk, lavender honey or brown sugar-vanilla, and for those who want something more unusual – lemon-basil or pear-wine. This ice-cream shop is located in the premises of one of the oldest farm markets in Los Angeles – Grand Central Market. McConnell’ produces the ice-cream according to 70-years old technology, by using milk and cream from its own farm as well as the best local organic products, without the addition of any substitutes. Taste range is quite familiar – vanilla, coffee and caramel. However, it’s recommended to try ice-cream with Spanish churros, biscuits with sea salt and blackberries with lemon. ← Previous Previous post: What Is an Online Car Rental Service?